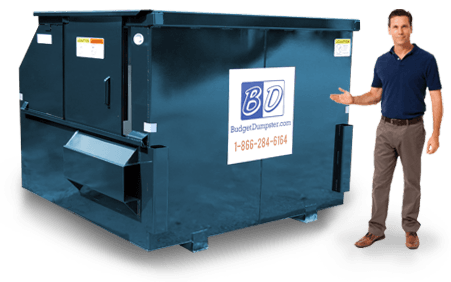 When you choose Budget Dumpster, you don't have to worry about long-term commitment. We make it easy with affordable monthly rates on one-year contracts. You aren't going to be nickel and dimed with your service, we're going to give you a rate that is affordable and the commercial trash service that we provide goes above and beyond your expectations. 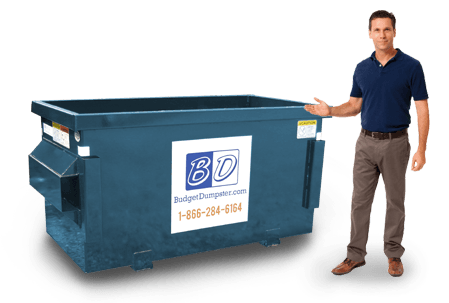 If you've been burned by those other guys in the past, look no further than Budget Dumpster for a different kind of commercial service. The same great experience you get from us with rentals translates exactly over to the commercial experience. If you're new to the waste removal scene, don't worry. We've got a customer service staff that knows the ins and outs of the industry. No matter what you need from us in terms of commercial waste service, you're covered. We've seen it all, and we have provided dumpsters for just about every business you can think of in our time as a company. We're a versatile group of people; we try to react to the waste industry before our competitors to consistently be giving you the best experience money can buy. 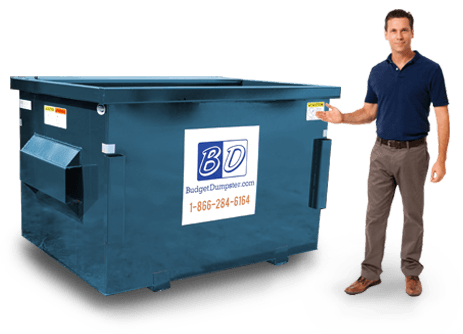 We know the importance of affordable, reliable, and forward-thinking dumpster guys, and we want to be those guys for you. With four options to choose from, we understand that picking the best size for your commercial dumpster can be tricky. Well worry no more; you'll be talking to an expert customer service rep that is going to be able to match you with the exact size that's right for your business or commercial property. 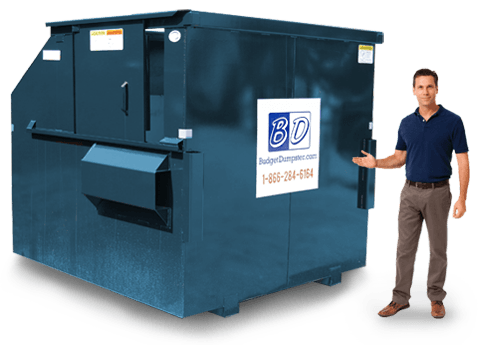 The 2 yarder is perfect for businesses with low trash volume and who might be short on space when it comes to a trash dumpster. The 8 yarder is going to be for those that are working out of large warehouses or department stores that are going to have a lot of debris on a regular basis. And then there are three sizes in between those two for needs that fall somewhere within those specific circumstances. All it takes is a phone call to get you started. Whether you are a pro when it comes to the commercial dumpster biz or this is your first time setting up a service, we can help. All of our customer service reps have been trained from the ground up to help cater the service we offer to the needs you have, not to some cookie-cutter checklist that applies to "businesses in the Richmond area."